FABULOUS FLORENTINE FAVORITE! Great interior with wood flooring. Spacious dining area opens to large living space with several southern exposure windows. 3BD/2BA with large master & en suite bath open to back courtyard with covered patio & large hot tub. 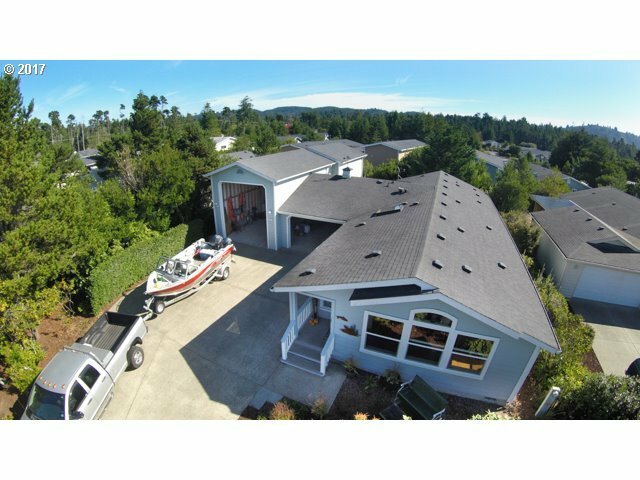 Fabulous garage space with full hook-up, 32' RV bay! Storage space will be a favorite area for vehicles & recreational toys! Heated 18' shop in back of garage with 50 amp power.